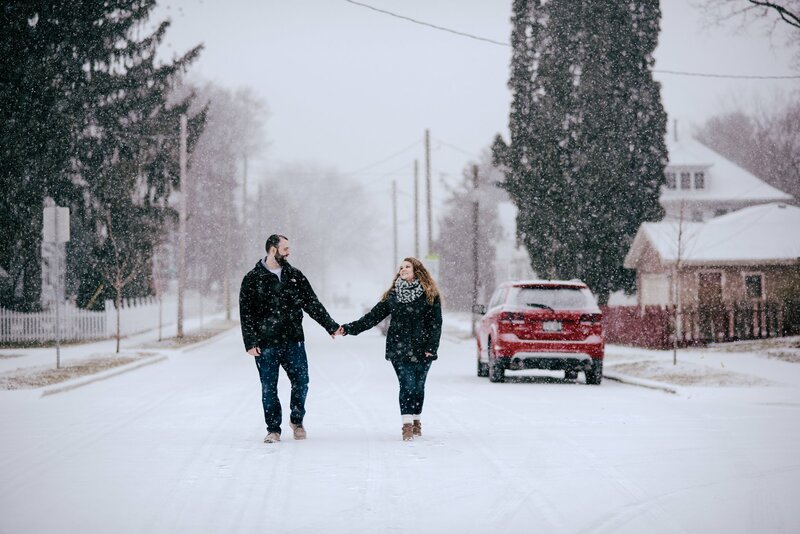 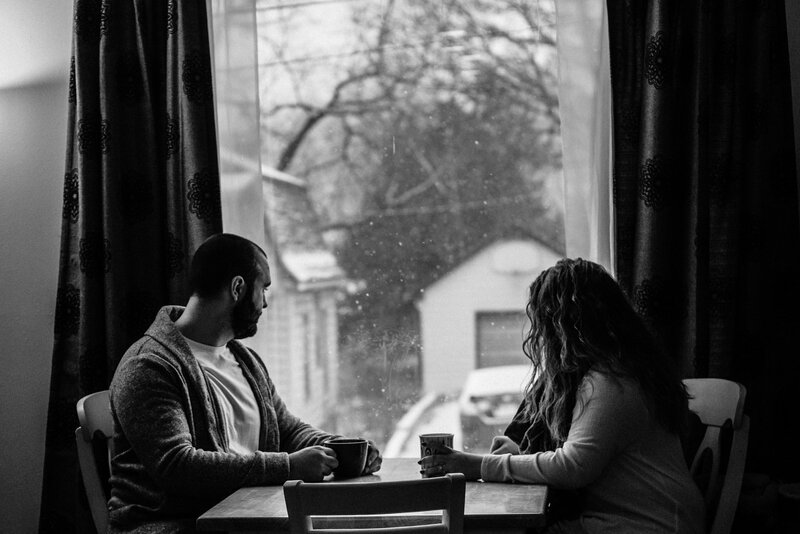 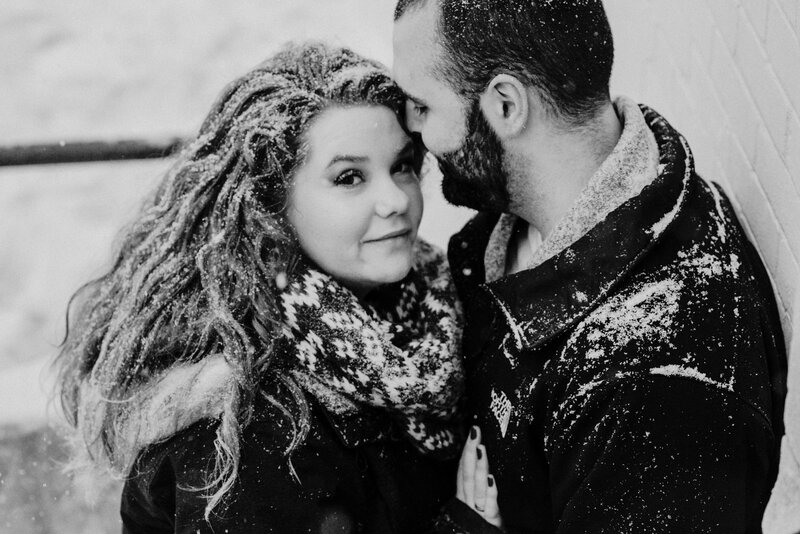 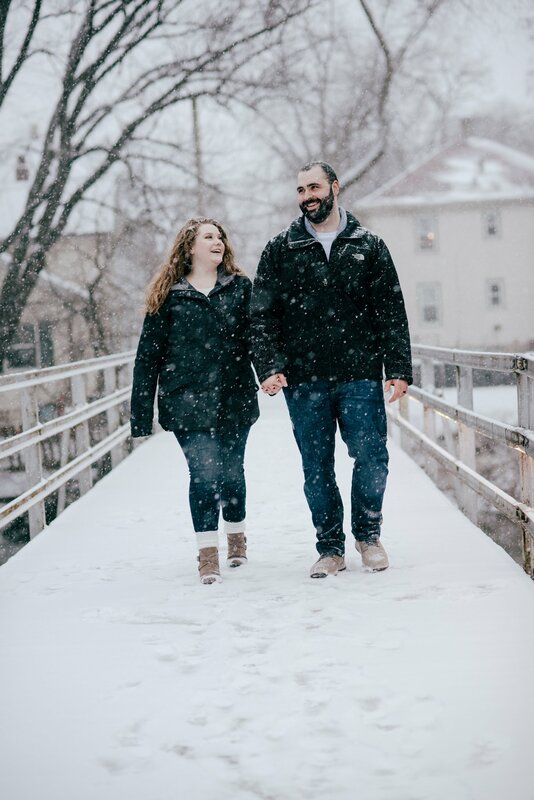 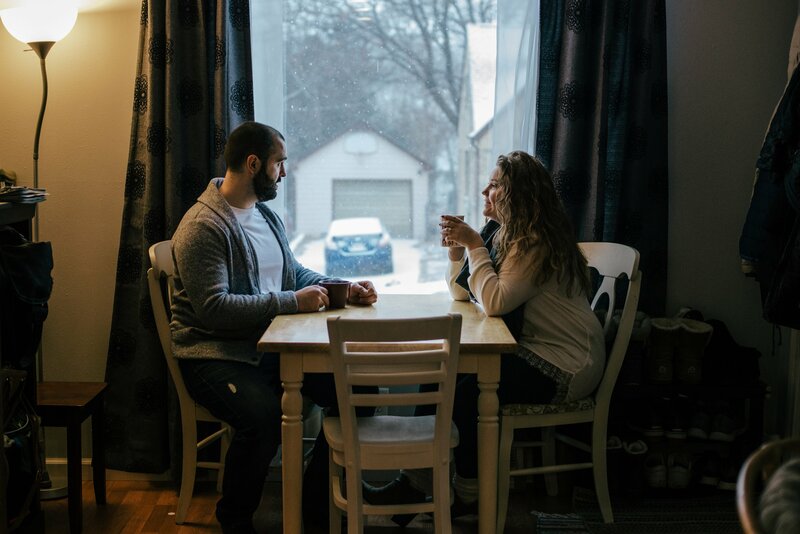 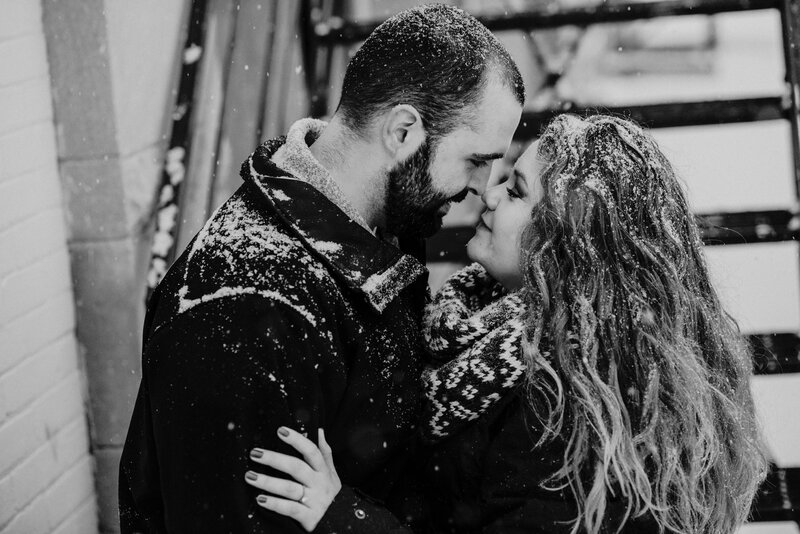 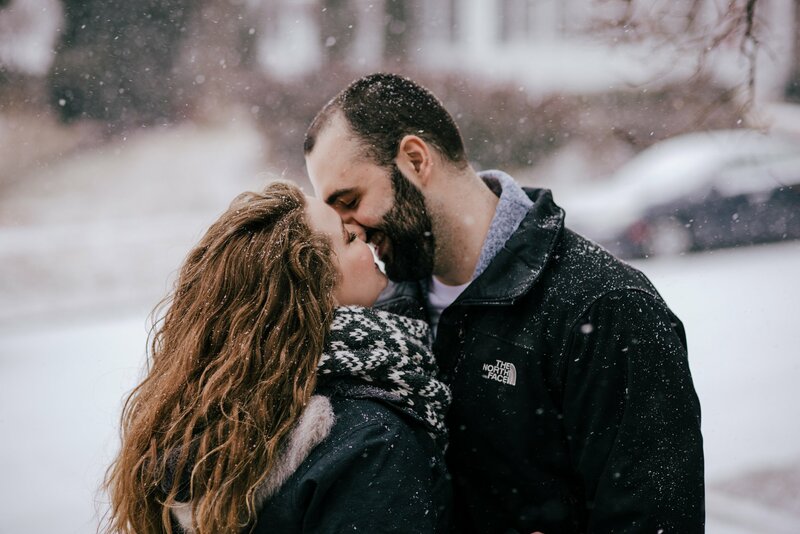 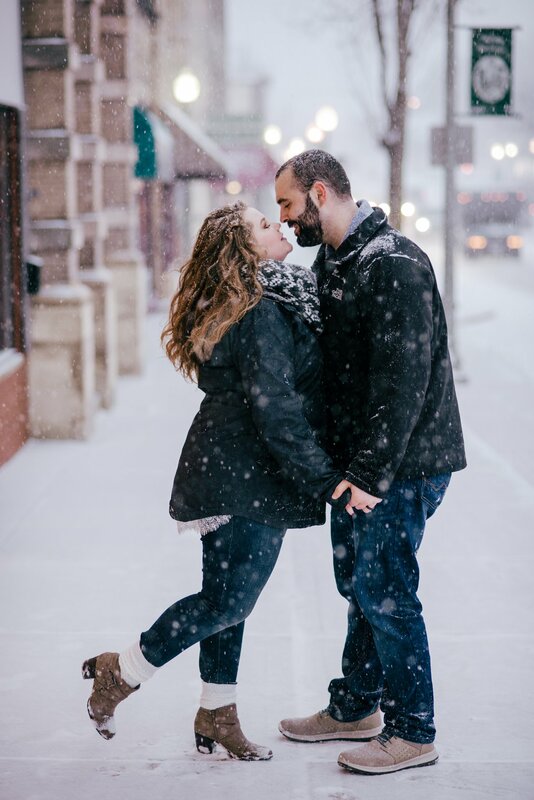 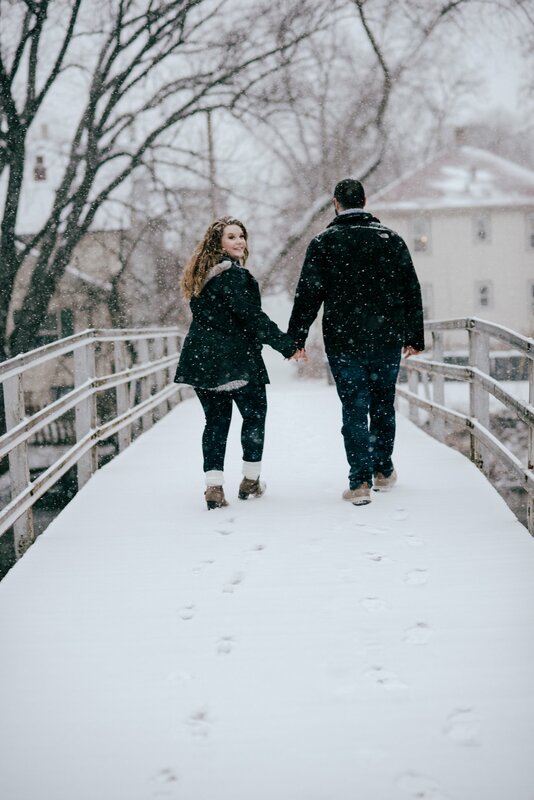 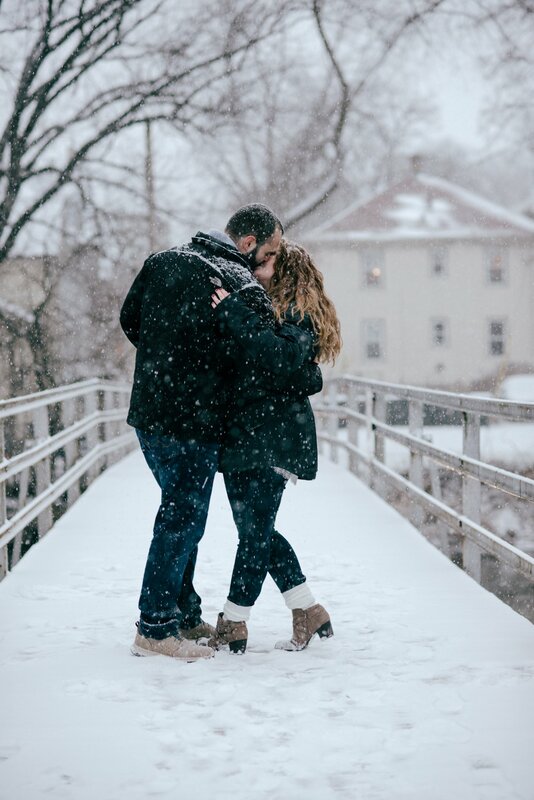 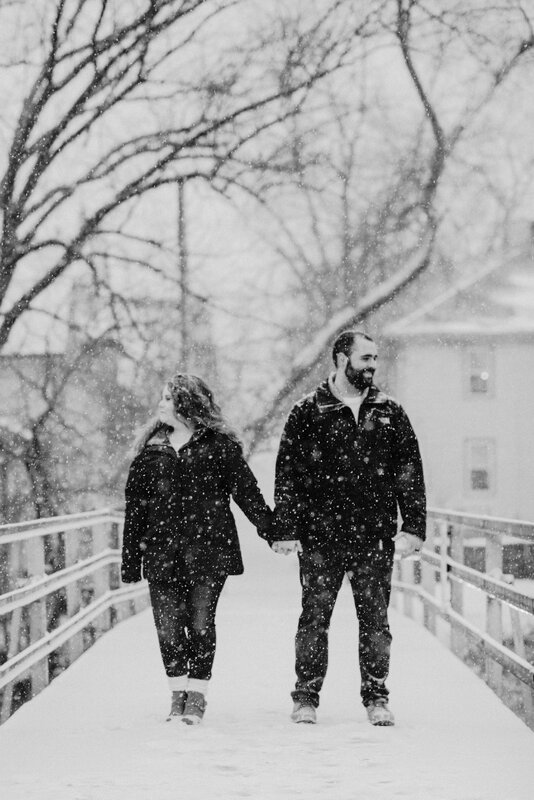 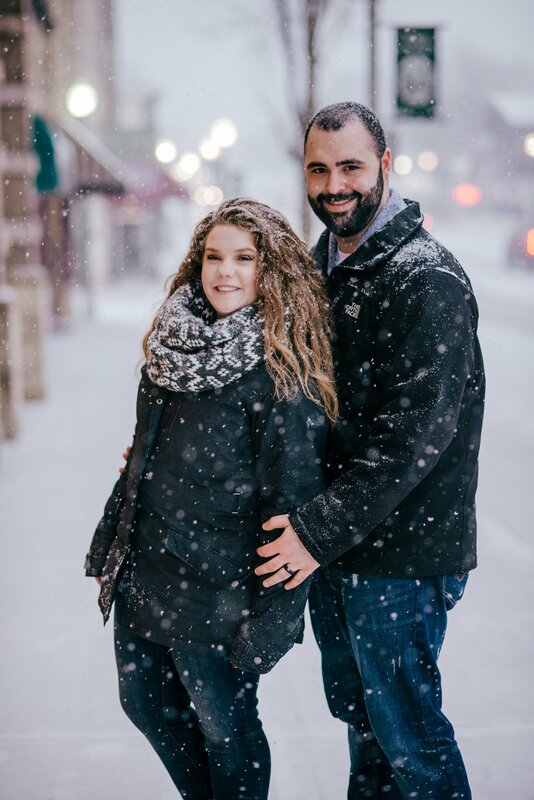 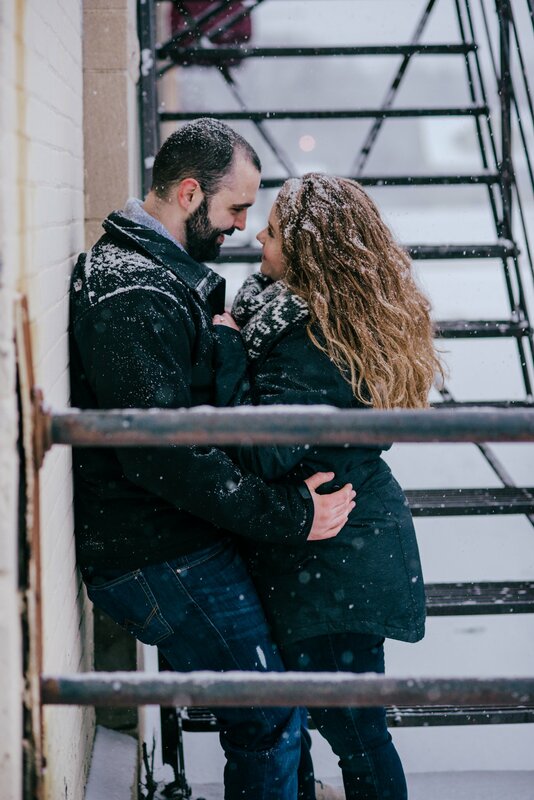 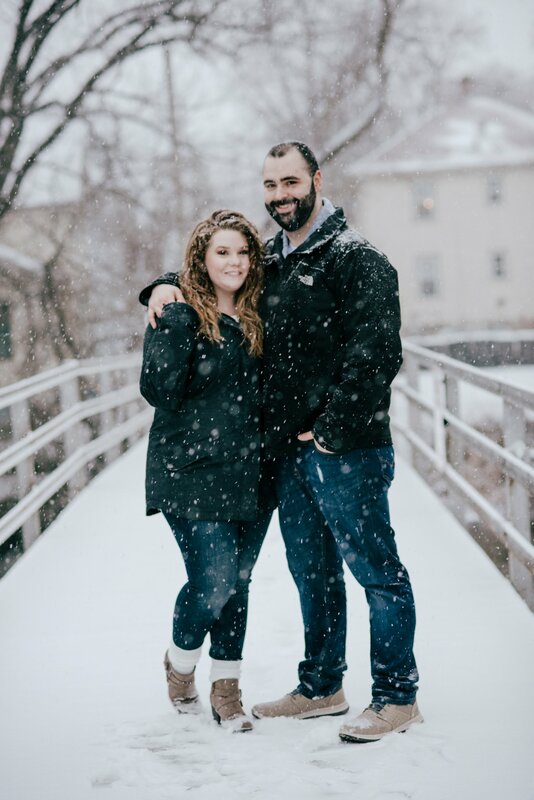 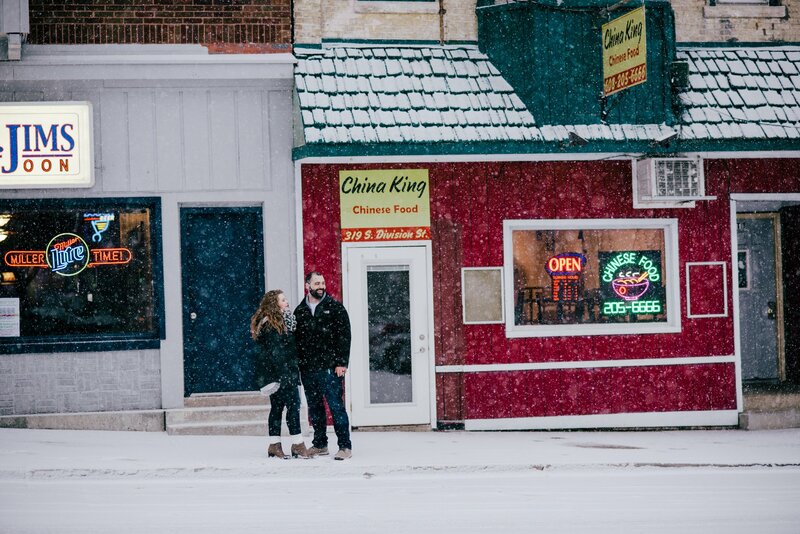 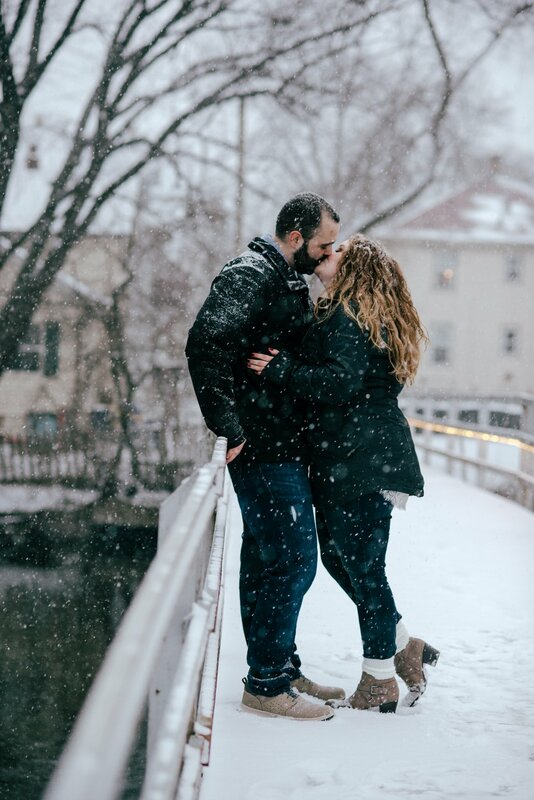 Megan and Yohann where such good sports having an engagement session in a blizzard! 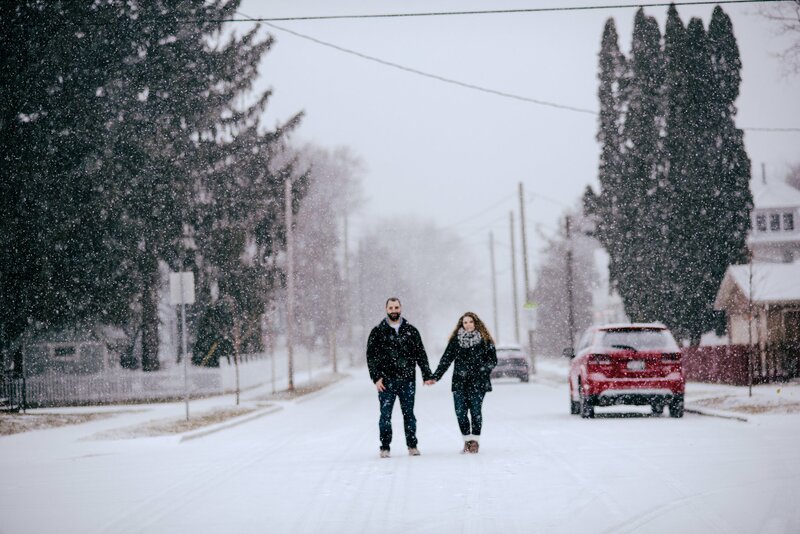 We had our eyes on the forecast the entire week, it show up for us in a big way. 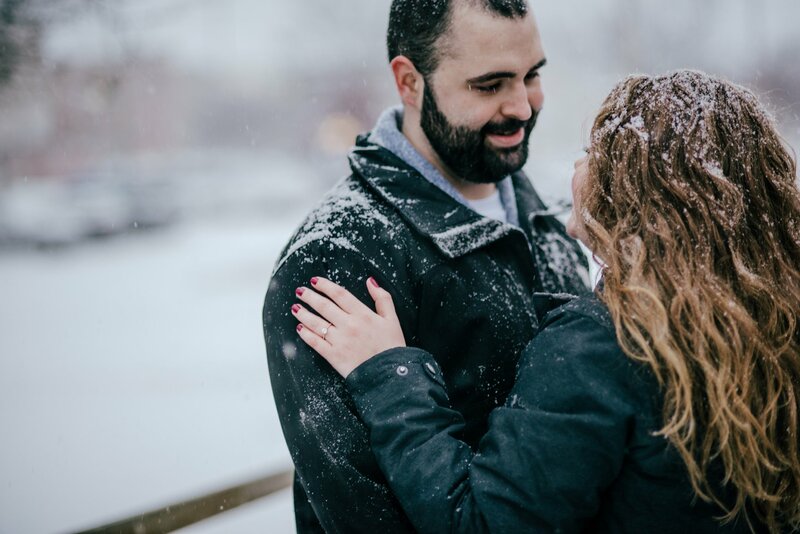 I must admit this was one of my hardest sessions to day because the snow was falling so heavy and so quickly it kept pulling my auto focus points! 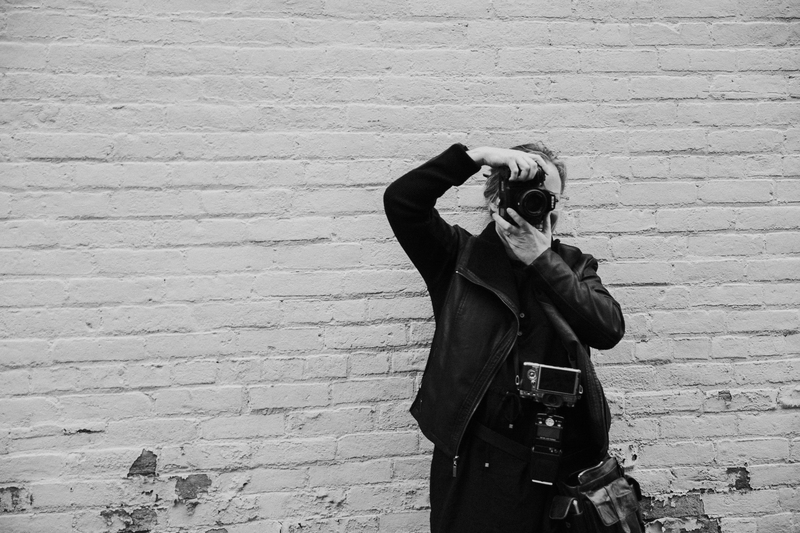 I then had to switch and focus in manual testing my skills and humbling me greatly! 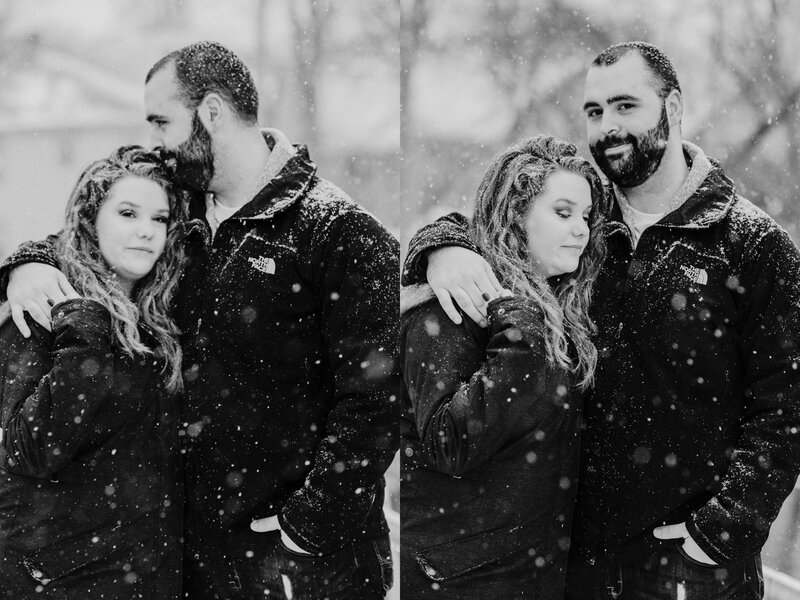 But looking through the images as I edited I’m so grateful for my adventurous couples, these images are AMAZING! 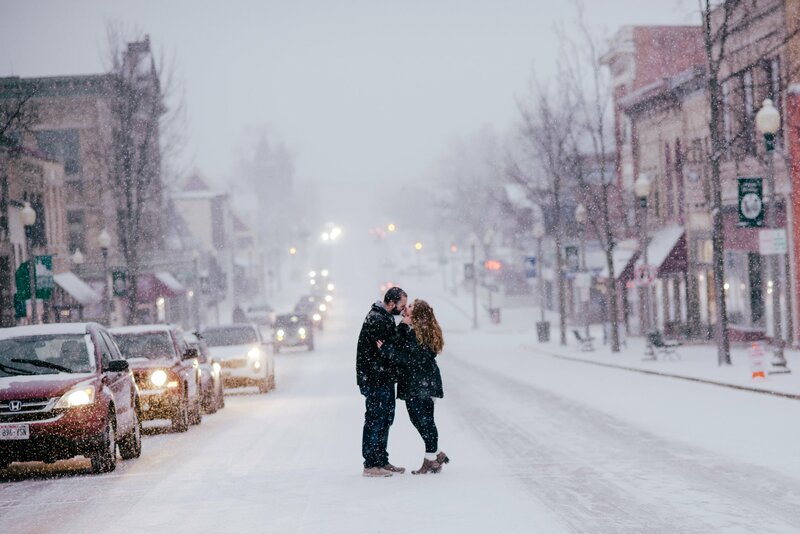 That snow… those two kissing in the middle of the street… WOW. 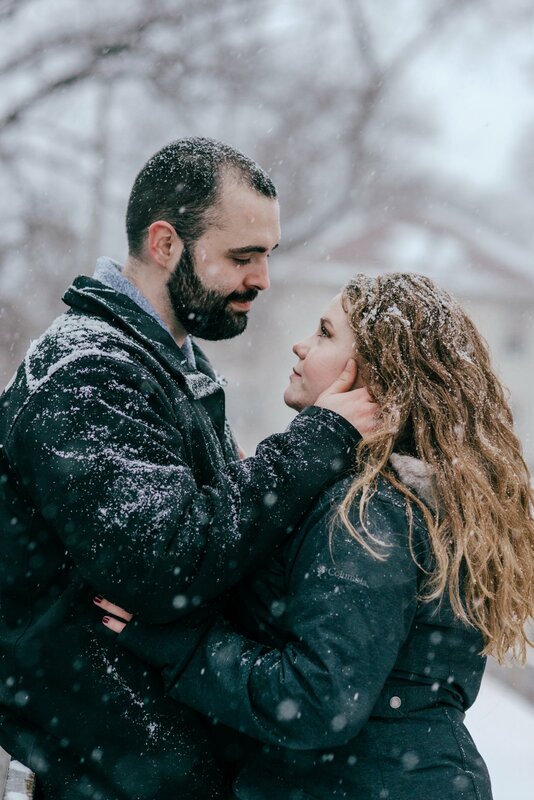 I honestly couldn’t have asked for a better session! 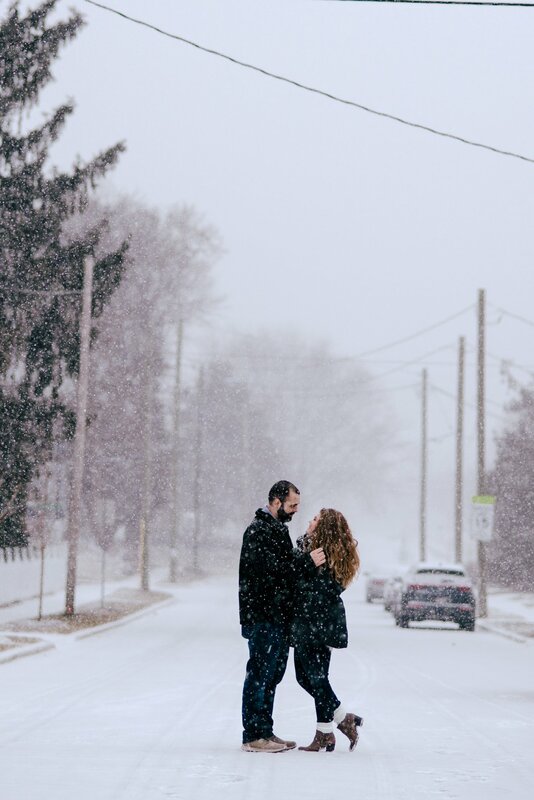 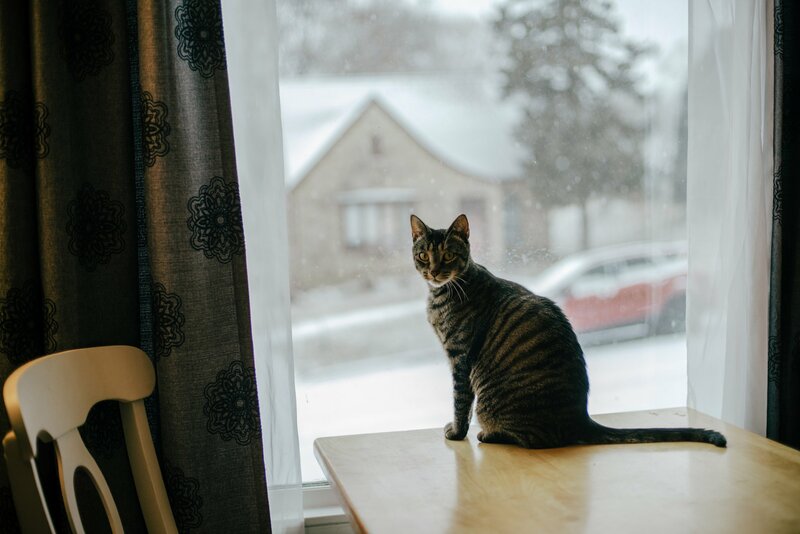 Thank you both so much for inviting me into your home and then braving the blizzard… safe to say it was pure magic! 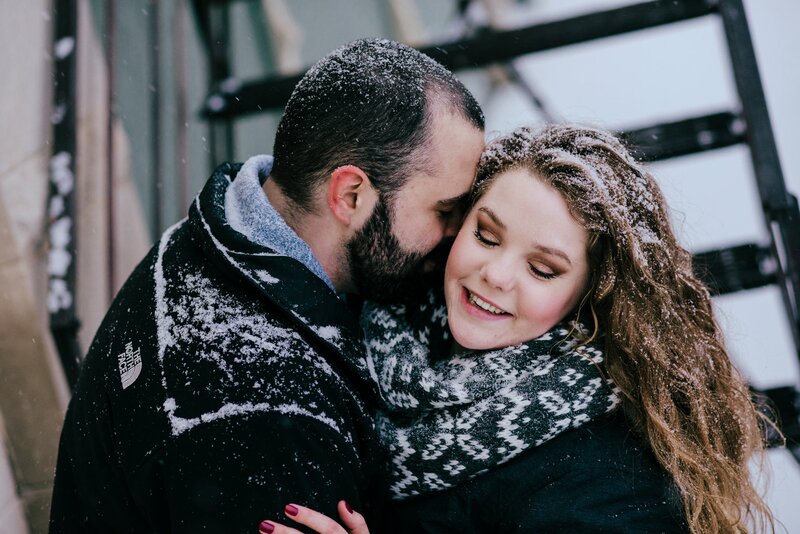 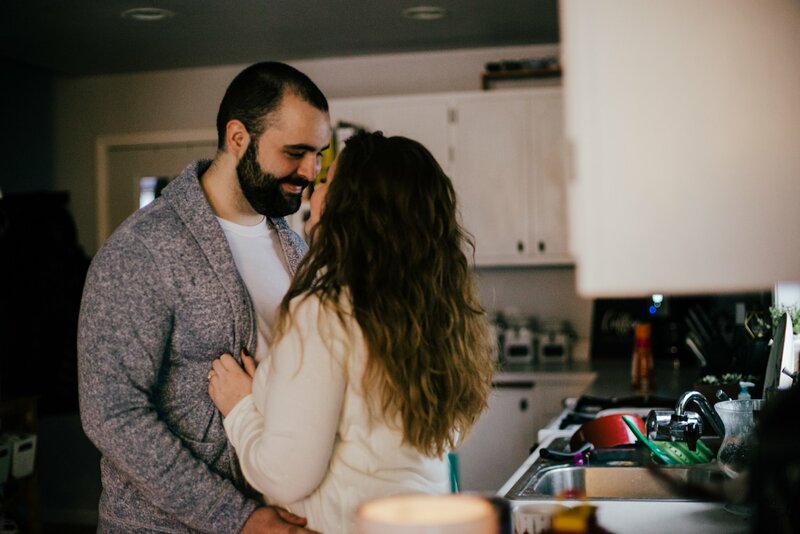 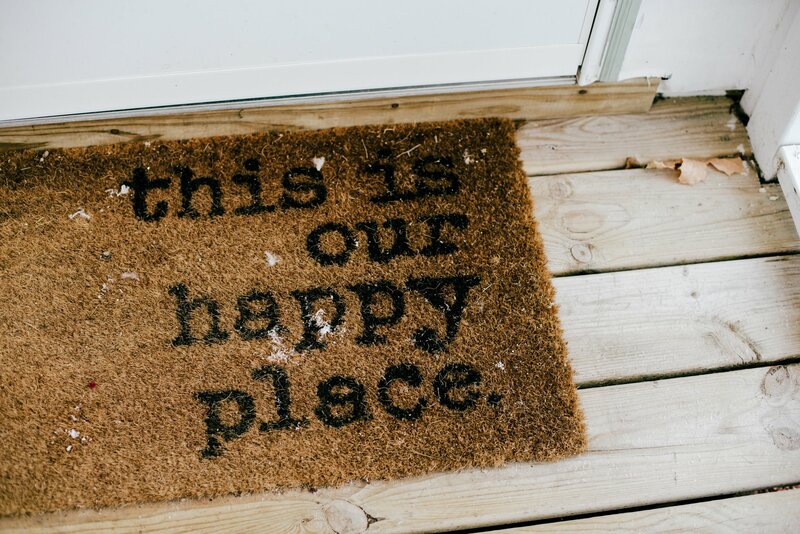 We started the session at their house and it was so fun…these are my favorites! 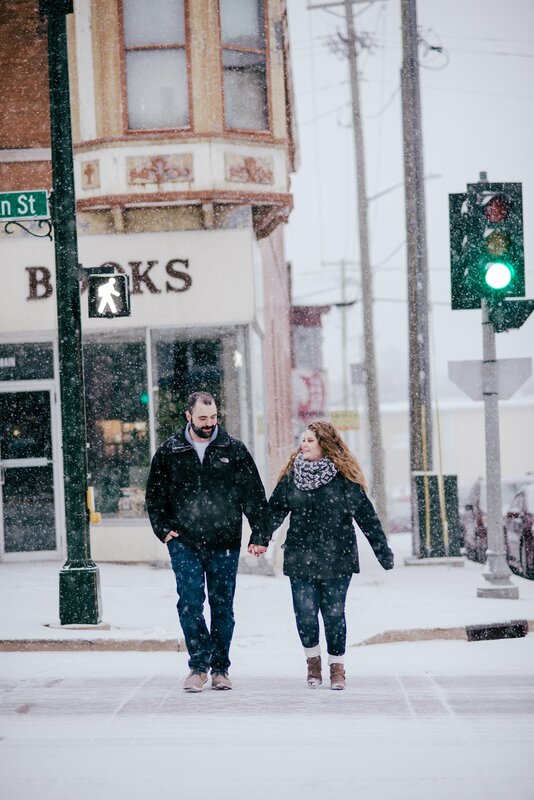 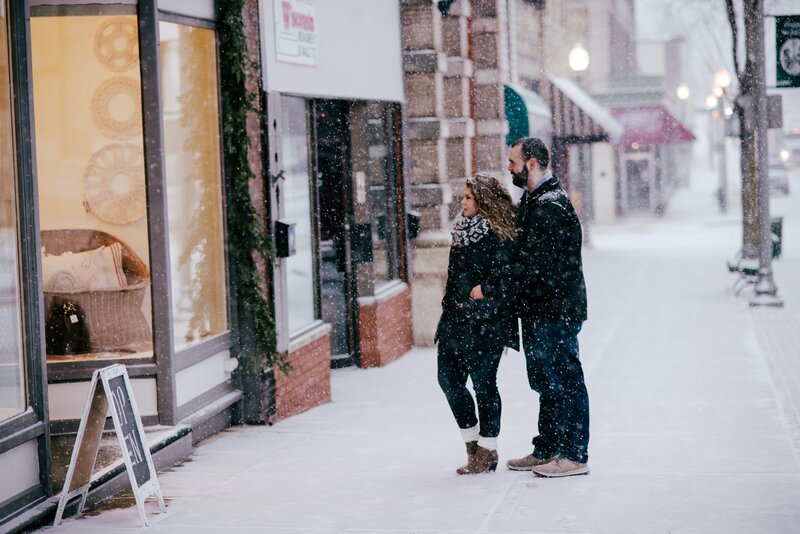 Then we headed downtown Stoughton to do a little window shopping and playing in the falling snow.